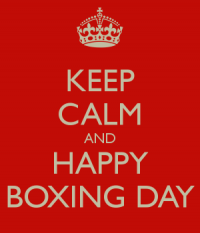 Boxing Day takes place on December 26th and is only celebrated in a few countries; mainly ones historically connected to the UK (such as Australia, South Africa and New Zealand) and in many European countries. In Germany it is known as « Zweite Feiertag” (which means ‘second celebration’)! 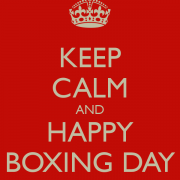 The 26th December is also St. Stephen’s Day. Just to confuse things, there are two St. Stephens in history! The first St. Stephen was a very early follower of Jesus and was the first Christian Martyr (a person who dies for their religious beliefs). He was stoned to death by Jews who didn’t believe in Jesus.